Apple Inc. has been with us 30-some years now, and in that time the company has produced a vast array of products, software, and services. 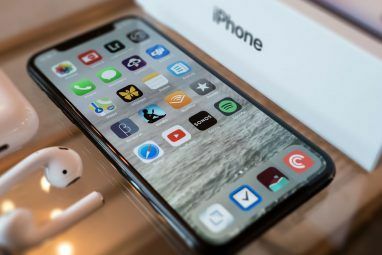 It has also produced a vast array of commercials designed to sell those products, software, and services to the general public, a general public that has often had to be forcibly persuaded to let go of its attachment to Microsoft and Windows in order to give Apple a shot. Apple is a company that you either love or hate; there’s very little middle ground. This is because you either buy into the company and its culture or reject it outright. Seeing as I don’t own a single Apple product I guess I belong to the latter group. However, even I, as a supposed hater, have been exposed to Apple’s marketing machine over the last three decades. And while the ads haven’t persuaded me to buy anything from the company, some have left a lasting impression. What follows are the top ten iPhone commercials of all time. The commercials featured below are those which, for whatever reason, rose above the usual advertising efforts to become ingrained in the psyche of society at large. Those who love Apple will enjoy looking back at these with nostalgia, while those who hate Apple will be able to see how the company worked its way up to become the tech juggernaut it currently is. Long before the iPad was ever even being dreamed about, Apple released a handheld device that was the tablet for the 1990s. It was called Newton, it was, in essence, a PDA, and it never really took off. Still, the ad Apple used to sell Newton did a fine job of talking its capabilities up, with fast-moving visuals, catchy music, and a serious-sounding voiceover. It may only be 30 seconds long, feature a song by a band (The Rolling Stones) that haven’t been relevant for decades, and consist of nothing more than a chorus line of iMacs spinning around, but this ad stays with you long after it ends. In 1998, with Apple on the verge of greatness once again, this ad felt like a breath of fresh air, and it somewhat set the tone for ads that came later. What better way to welcome a new phone onto the market than with a simple, “Hello.” OK, how about several of them all uttered by characters from different movies and TV series. This ad works, grabbing your attention both aurally and visually as you try to recognize all of the actors by sight and/or sound. And then the iPhone is revealed in all its shiny new smartphone glory. The iPod commercials are iconic in their own right, with silhouetted characters moving around on colorful backgrounds with the device itself picked out in white. Then you add U2, one of the biggest rock bands in the world, into the mix and the result is spectacular. Unfortunately enjoying this ad means putting up with the sight and sound of Bono doing his thing, but you can’t have everything. The PowerMac G5 was fast, powerful, and likely to blow a man-shaped hole through the walls of your house. At least if this ad is to be taken literally. It isn’t, of course, instead merely suggesting that you’ll be so impressed by the power and the speed of this Apple product that the figurative will become the literal. In other words you’ll be blown away. This ad is meant to tug on the heartstrings by showing a child disappointed by his father not being able to show him the dinosaurs he so desperately wants to see. It’s all the fault of Windows, and if the poor unfortunate man had bought a Mac instead of a PC he’d have been vying for the title of Father Of The Year. As it is he just looks like a cretin who fell for Steve Ballmer’s infamous sales patter 5 Funny Videos Starring Microsoft CEO Steve Ballmer 5 Funny Videos Starring Microsoft CEO Steve Ballmer A lot of people really don't like Steve Ballmer. Perhaps because he's Mr. Microsoft, or because he was (for many years) Bill Gates' lickspittle underling. Whatever the reason, he's a figure of fun in a... Read More . To be perfectly honest this could have been any one of the dozens of PC Vs. Mac ads starring John Hodgman and Justin Long. The campaign more than deserves a mention, and this ad is one of the more memorable. It features PC running scared of malware, whereas Mac suggests he’s safe from all that because he runs Mac OS X. Perhaps this is where that particular myth began. If you can excuse the grammatical perversion of “Think Different,” then you’re left with an ad campaign that sells Apple to the mass market. It suggests that the company and the brand are aligned with geniuses such as Albert Einstein, Alfred Hitchcock, and Pablo Picasso. Because they would all have bought a Mac over a PC any day. Whether true or not the words and images struck a chord. We end with what has to be the best Apple ad of all time, and one which may never be bettered. It’s brave, it’s epic, it’s compelling, and it got the right message across at exactly the right time. Using imagery from 1984 by George Orwell as its backdrop, Apple sets itself up as the David ready to take on and beat the Goliath that was (at the time) IBM but which is now Microsoft. 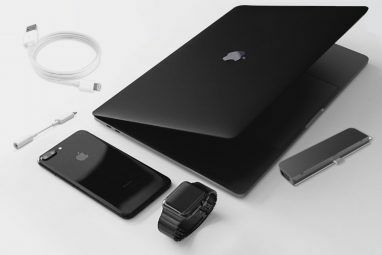 After having been exposed to so many commercials for Apple products I’m having trouble resisting the urge to immediately head out to my nearest Apple Store to buy one of everything they have in stock. OK, perhaps not. But I will concede that if there is one thing Apple does exceptionally well — other than making decent products — it’s advertising. Do you have a particular favorite Apple ad from the past few decades? Is it one of those featured above or a different one entirely? Feel free to let us know in the comments section below. That’s also the place to tell us what you think of Apple, its products, and its marketing practices. Or you could instead watch these Apple ad parody videos 10 Hilarious Apple Ad Parody Videos for the Non-Fanboys & Fangirls 10 Hilarious Apple Ad Parody Videos for the Non-Fanboys & Fangirls If you're an Apple fanboy or fangirl then Apple can do no wrong. And their commercials are perfect slices of marketing genius that border on being works of art. The rest of us find most... Read More previously featured here on MakeUseOf. Explore more about: Apple, Online Advertising. That 1984 ad is so tragic in light of what Apple has become. I still miss the colored iMac. where can I buy a new one? The 1984 Apple Macintosh is the best according to me. But I don't like what Apple is becoming. While asking the people to think different before, it is now just limiting them from everything that would make them think different. I hate apple for 1001 reasons. 3.you cant open it up and start putting in custom parts. I will never forget 1984. 1984 one is ultimate one.. cheers to it.